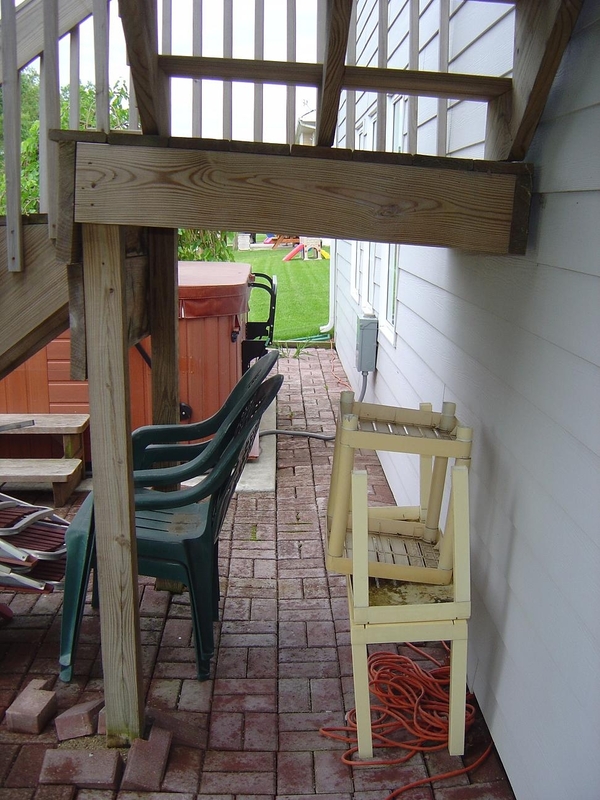 As mentioned in my May 20th blog post, the North American Deck and Railing Association (NADRA) delegates May as Deck Safety Month. 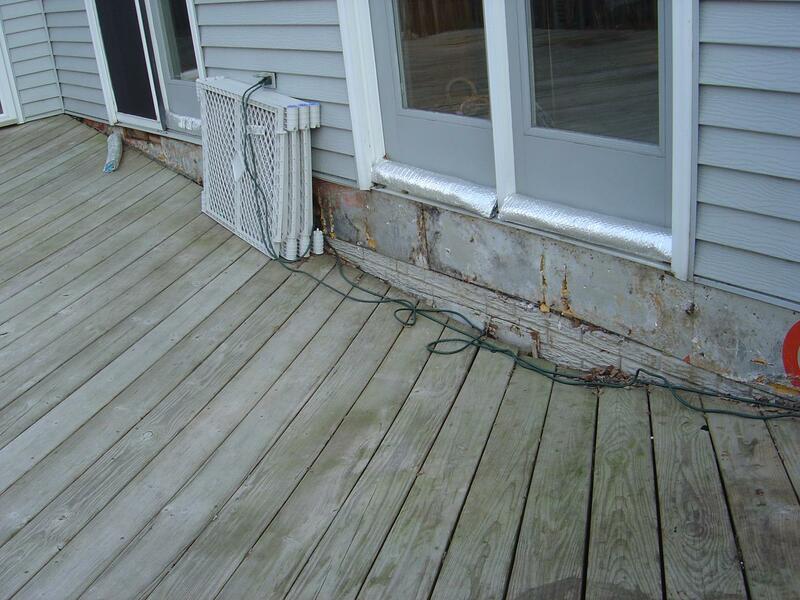 But, the safety of your deck should always be considered, regardless of the time of year. NADRA’s web site has several resources available when considering the structural and safety aspects of your deck. Rather than repeat those here, I would just refer you to their site (click above links). Also, I would again offer our services to assist you in interpreting or resolving any issues you may have. 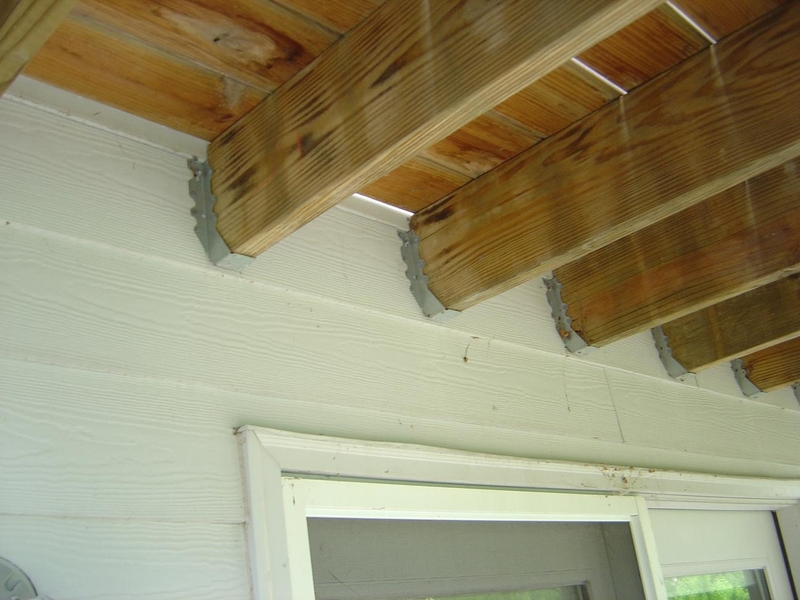 The potential ramifications of an unsafe deck can be significant…in no particular order, injury, death and detrimental impact on your home’s value are the top 3 that come to my mind. These issues are real and they do exist in your neighborhood, believe me. Being in the deck building business in the Des Moines area for nearly 7 years now, I’ve been in your neighborhood…I’ve seen plenty of examples. 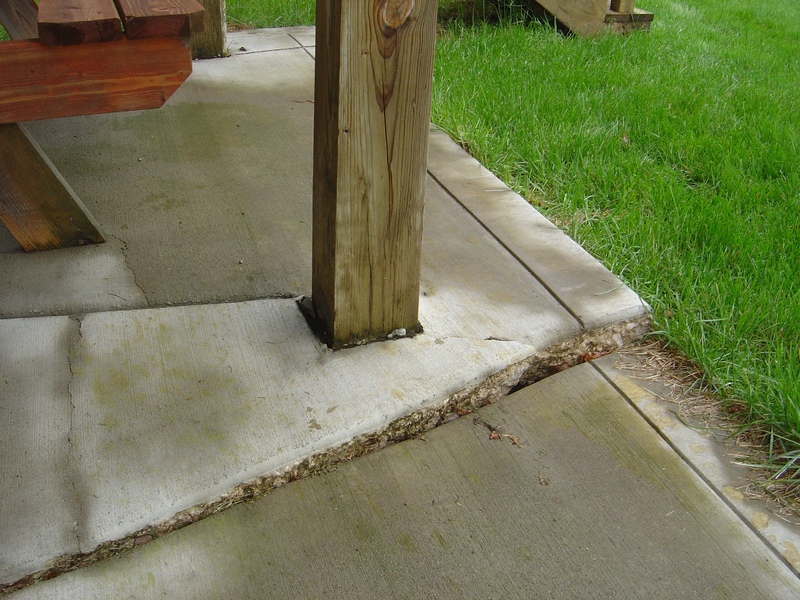 Pictured here are just a few, real-world, Central Iowa, examples of issues I’ve seen in this regard – issues you should be concerned about if you see them on your or your neighbor’s, family’s, and/or friend’s decks. There is engineering behind deck building…what “load” can the deck (and railing) handle, and how? Not to mention design…how does it look, flow, material, etc. That all too often gets taken for granted because of all the easy access free stuff on the web and the $7.95 deck plan books on the web and on the shelves of your favorite bookstores or home improvement retailers. But, that “engineering” isn’t necessarily rocket science (except when NASA does it) and the span/load ratios are readily available to anyone so inclined to use a hammer and a saw. There are International Building Codes and local building codes and associations like NADRA and companies like Simpson StrongTie and FastenMaster and local building inspectors and others who are vested in ensuring that these structures are and can be built with safety in mind. And then there are builders like Archadeck and others who subscribe and adhere to those principles and consider it good business practice to adhere to – if not exceed – those principles in their own design and construction standards. And then there are those who don’t.